The rich history of the Chevy® Suburban™ stretches back almost as far as the history of Chevy itself. It is, in fact, the longest continuously used nameplate that is still in production. It's a station wagon based on a pickup truck chassis and it has grown and evolved as the Chevy truck line has advanced. 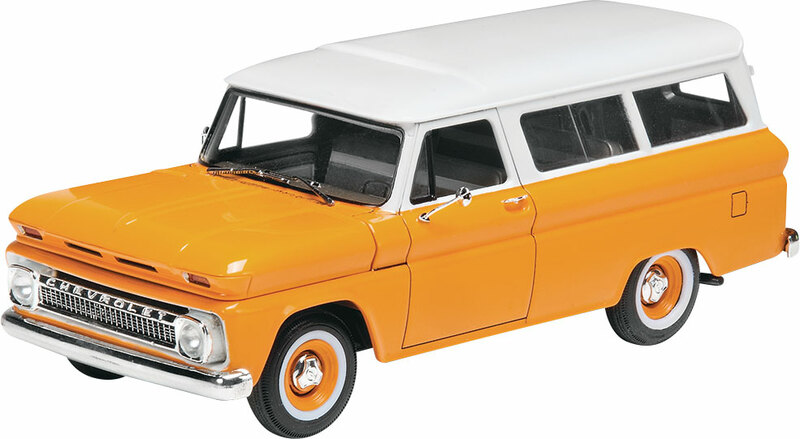 This 1966 version is from the fifth generation Suburban started in 1960. Kit features detailed 283ci V-8 engine, two rows of seats, whitewall tires, and spare tire.